Chakra Gemstone Bracelet is an adjustable bracelet. It is 7in in length and worn to keep the energy centers of the body active. 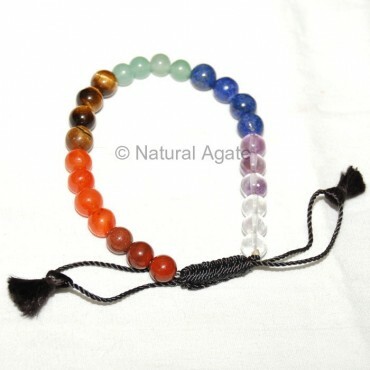 Buy this bracelet from Natural Agate.